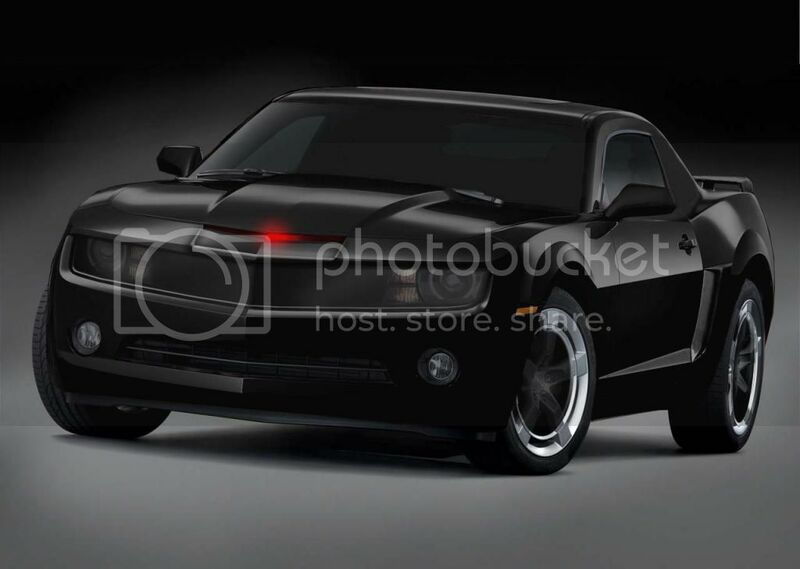 Another rendering of what I think would be the perfect kitt if there ever was going to be a movie.Tell me would you guys think this would rock as a new kitt for film if we ever got one? Still working on trying to make plexiglass hubcaps with an inner rim. To be honest mate, I'm really not a fan of these modifications. To start with, you have to remember that the turbo cast wheels and bowling ball hubcaps were standard on the range topping Trans Am in 1982. All things being equal, if Knight Rider had been made in 1987 instead, the standard two-tone wire wheels on the GTA would have adorned KITT instead. 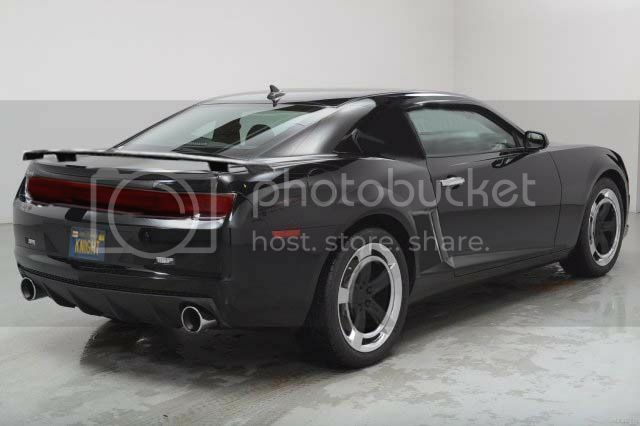 Rather than redesigning the turbo cast wheels, you'd be better off going with one of the Camaro's standard designs; keeping the outer rim silver whilst painting the spokes black to modernise the two-tone effect. Moving on to the nose, and I'm immediately drawn to the solid plate covering the radiator. Like the Harold Belker designed Attack Mode Knight 3000 in the backdoor pilot, this change in bodywork will create a sizable windbreak. As a result, the air would create a considerable amount of drag, impeding both the overall acceleration, as well as limiting the top speed the vehicle would be able to achieve. Finally, the vents you've used on the rear fenders are, historically, design elements from the Ford Mustang, and in particular, Carol Shelby's eponymous 1967 GT500. They really don't suit the Camaro at all. 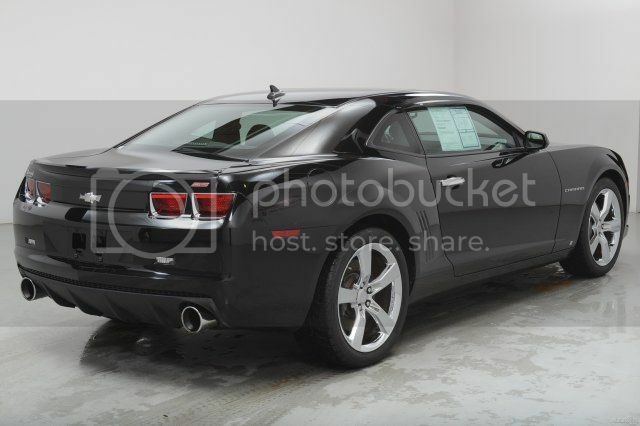 Keeping the original vents would, in all likelihood, be the best option, but if you search through the Camaro's history, you may find something that better suits the 2010 model you're working with here. Thank you for taking the time to critique my work.Its very appreciated.More than anyone who passes by and just says nice car. I felt the grate grill on the mustang seemed cheap for a car of the future.It deserved something more futurisitc and style.What better represented kitt's style that a sleek black metal.The camaro had a nice grill but still not the right styleI felt the wheels needed something more than the basic look of simple spokes.I liked the look of the attack mode kitt side scoop from the 2 hour movie.I also felt the car didn't need a backseat window on its side. I'll look into past designs of camaros to see what else I can come up with. What did you think of the new rear tail light and spoiler? I liked keeping it similar to the original but a bit of color.Can't make everything black. Last edited by Knight Racer on Sat Mar 01, 2014 5:58 pm, edited 1 time in total. I definitely dig the taillights. 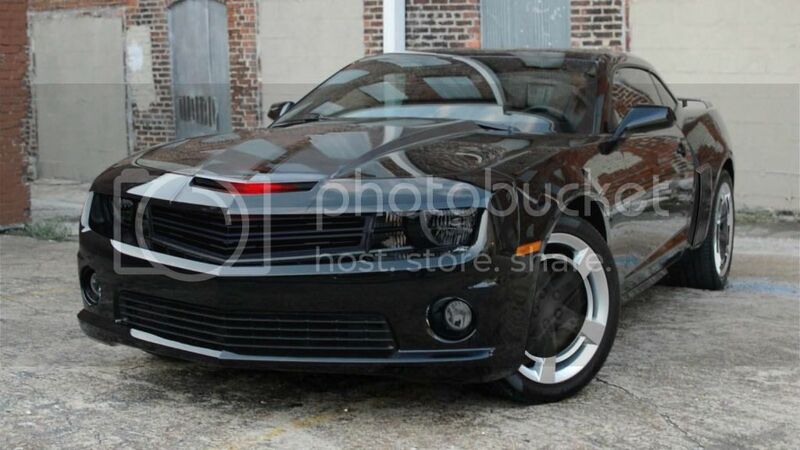 The only problem you might have is how similar it is to the Dodge Challenger in its current guise. Perhaps you could darken it, but not completely override the lens colour like a full blackout would do? The biggest problem with the solid grille is that you've essentially got an EBS flap deployed full time. Now if you could design a way to channel that air out of the area, it'd no longer act as a giant catcher's mitt. One idea might be to angle the plate just enough so as to create a break in the surface where it meets the headlight and turn signal units. That way, you'd be able to create downforce by channelling the air under the hood and out over the windshield. Finally found a front grill i can live with. Now that is nice. 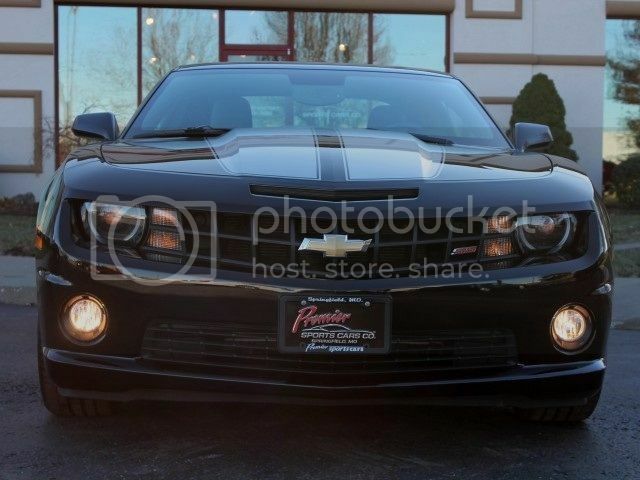 Any thoughts about changing the lower grille to match? Very nice job of photoshopping and I really like it overall! I just have minor complaints: I would rather have the black wheel caps solid instead of the see through kind that you have. Matt makes a good point about the wheels but I think we should go with what looks good and not worry about the stock wheels. 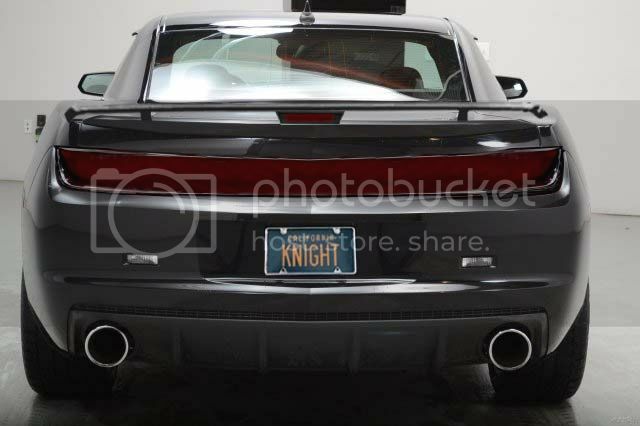 The original KITT didn't have a stock nose or tail lights and I don't think we have to limit the exterior alterations to only those 2 things. So go with what looks good and if it happens to be the bowling caps like stock '82 TA's, then that's even better. I like the side scoop but I would like it better if it was more subtle and didn't stick out as much - a smoother integration. On the rear view, there is a 3rd brake light on the spoiler - no need for that because it is taken care of on the long tail light. One of the views has chrome door handles - I wouldn't want them chrome. 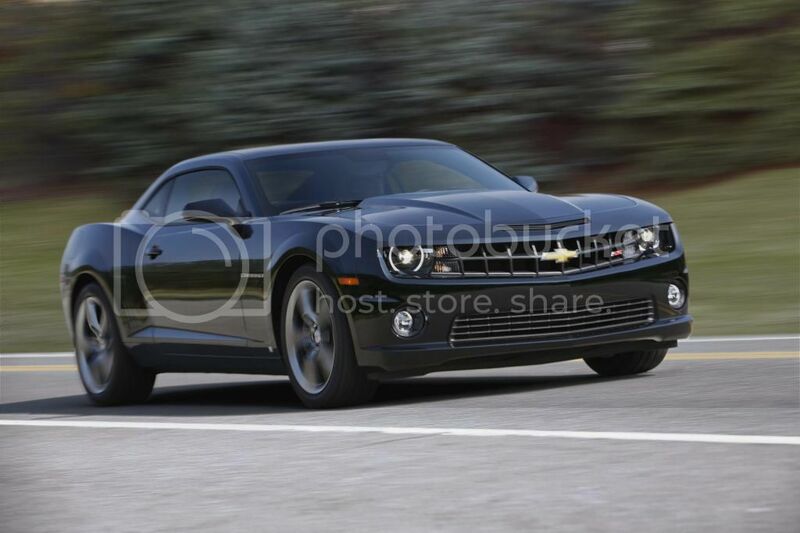 Of course a debate over a lot of this on a now 'older' 2010 version of the Camaro is all for naught because they would likely use the re-styled 2014 or newer Camaro at this point. the mods were good on the old kitt (transam) but wouldn't look well on a camaro. 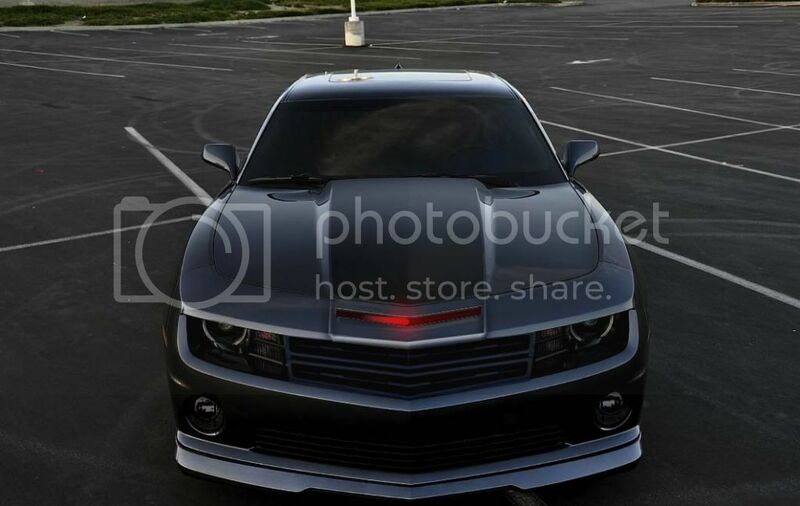 i've seen a few videos where people took their camaros and put the scanner lights in and created their own version of kitt. i must admit that it's impressive. 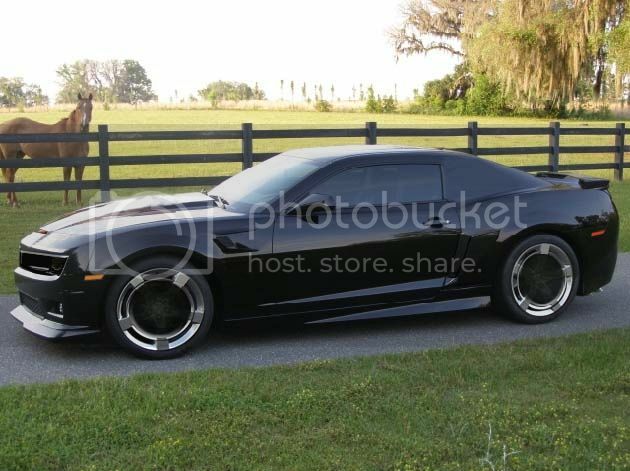 i don't think that taking the trans am look and turning into into any car works. 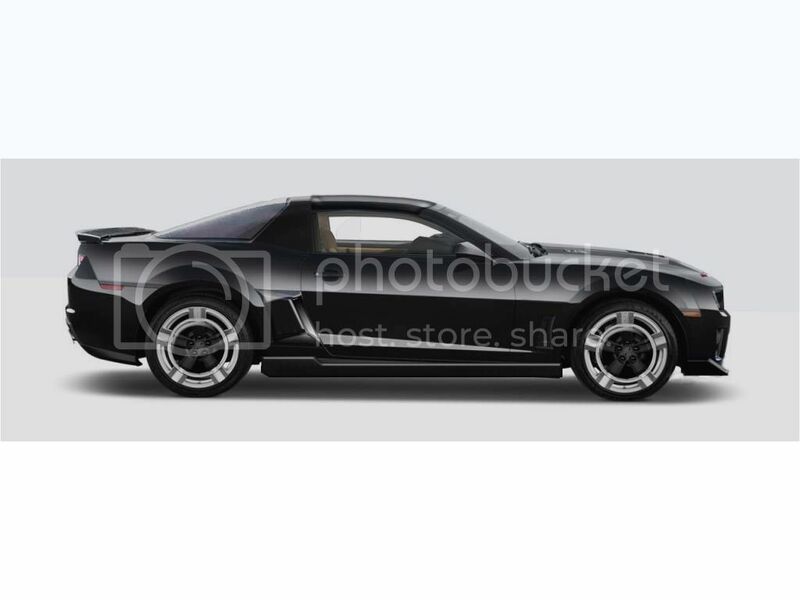 i mean would you chop off the roof of the camaro or any car to put in a t top just so it would remind you of the trans am? and would new kitt need all those buttons when in today's car market many car functions can be done with one single command button? it would make new kitt seem kind of silly, when someone can go why so many buttons when i can control my bluetooth, a/c, and gps in my ford with my one voice command button? the thing is to think ahead of the curve, so that one day in the future someone can say yeah all this stuff was once done in tv show, or movie called knight rider (not turbo boost, but take 80s kitt's gps, phone calling system, auto driving feature which we all know is being done with car companies like lexus for example). or who knows, someday it may even inspire a car designer to put some features that we didn't think was possible or even thought of into the "car of the future". 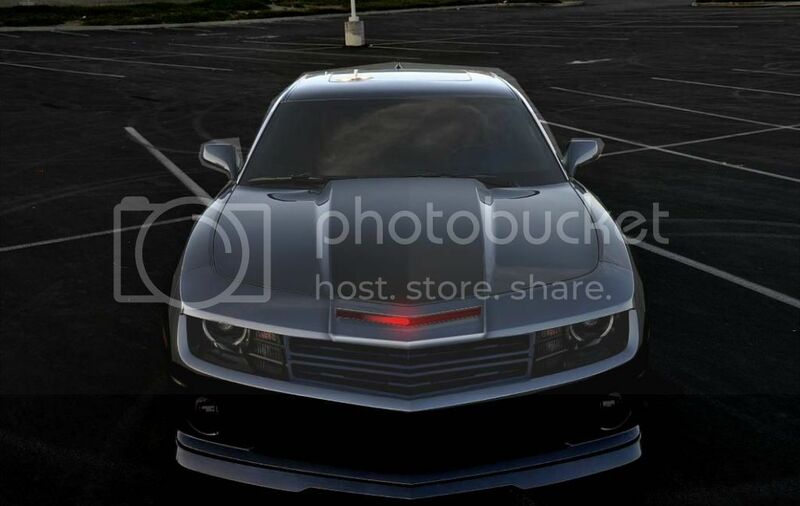 I've seen the newest camaro,while the front fascia looks ok the design isn't as close to what the original 82 trans am shape was,especialy around the front headlights. 89IROCNDoug wrote: Very nice job of photoshopping and I really like it overall! 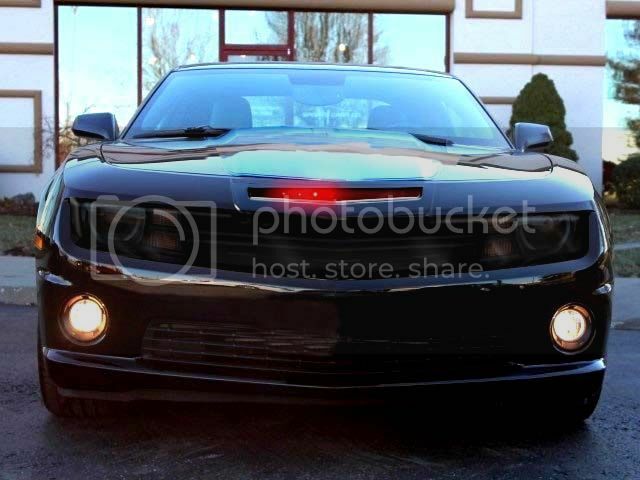 Everyone has their opinion of what the coolest look for kitt to be.I've seen 2000-2002 trans ams where people placed tiny scanners into the nostrils on the hood.Some have cut out the middle partition to put in a scanner.Others have taken the banshee bumper and put it on a firehawk which looked great.To each his own.What appealed to Glen choosing the trans am were the lines and it being a new model type in 80's. Right, I realize that there are different opinions on what looks good and that different years and models of cars would be represented in the differing opinions. But there's another factor that would likely affect the car they chose: product placement. Even if we all agreed that the 2010 Camaro would look better as KITT instead of a 2014 Camaro, I think the 2014 Camaro would be used if they could get financial support for using it. This is because of advertising for the current Camaro. Look what they did on Hawaii Five-O: They blew up the 2010 Camaro on this season's first episode so they could switch to the new 2014 Camaro. 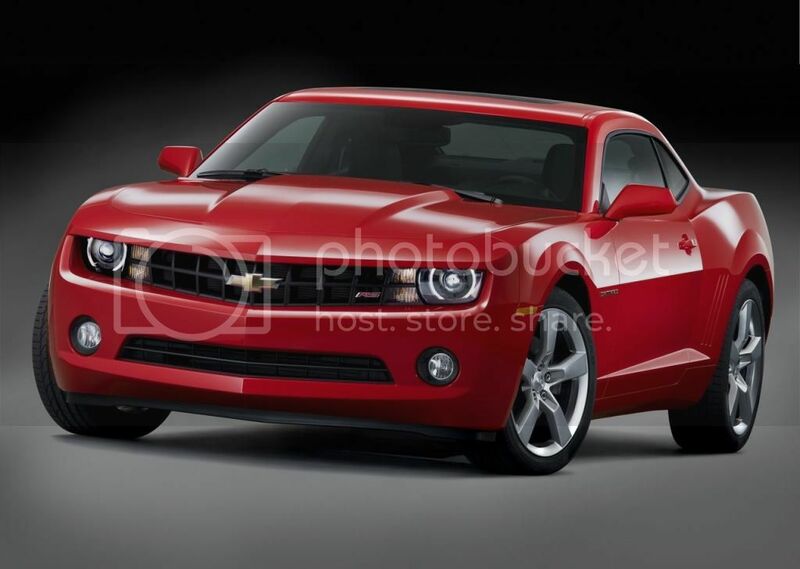 Another way would be to drastically change the front and back of the Camaro so you can't tell what year the Camaro is, which might be what I would like, but again, probably wouldn't get financial support either if it looks too different than the new 2014 model. They don't HAVE to get financial support from the car maker and do what they want, but as many of us know too many times, MONEY talks! You bring up a very interesting point Doug.A newer model means the company can profit from selling it in dealerships.However,like kitt,if you use a car and change the front bumper,rear tail lights,interior electronics.You still get the similar model from the current generation but its modified to the point where it can pass for new models.The show Viper used the factory default model and later on changed to a newer blue model since Dodge wanted to promote it for more sales. 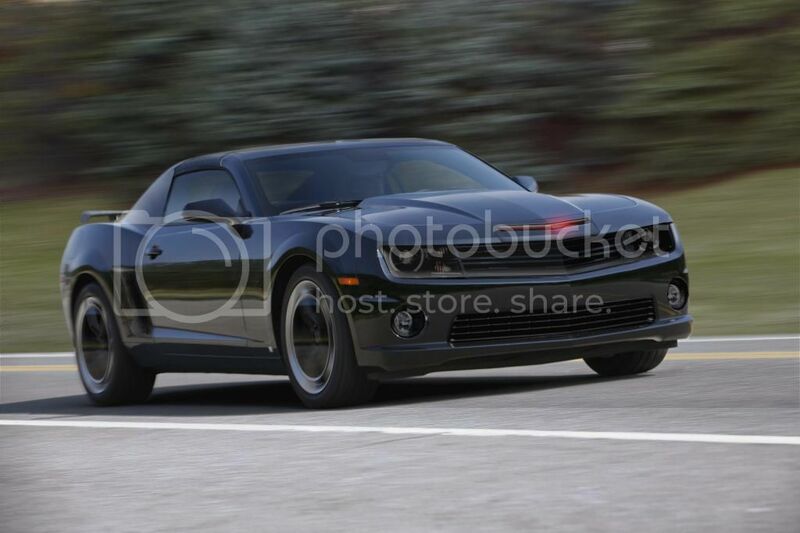 While I was photoshoping that together i leaned back and realized why this looked so much like kitt to me. 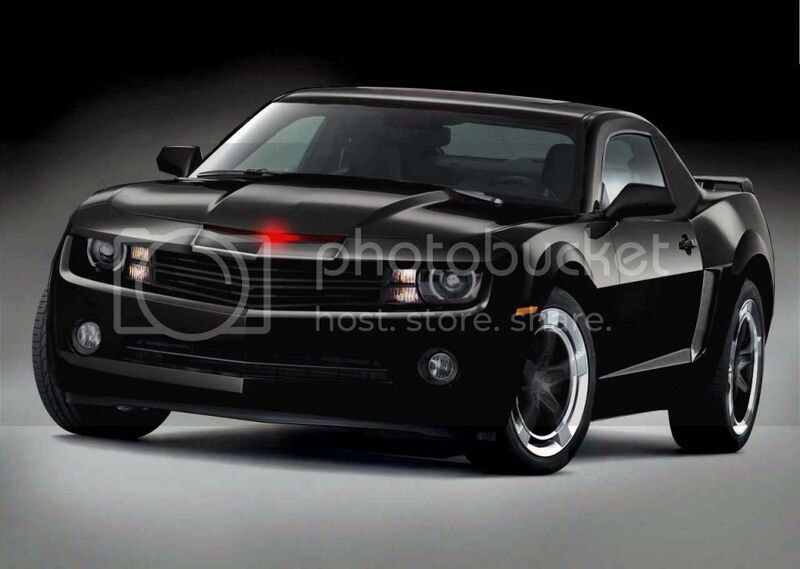 The only thing not sitting right with me on the Bandit based image is the rear hatch. I reckon if you restored the rear quarter windows, that'd be a bitchin' manip. I don't know, part of having the manipulation resemble Kitt is removing the rear passenger Windows. Special thanks to Nick Nugent (who inspired the look), 89IROCNDoug,matthew,apollyon2012,sfusco3, who provided great feedback,suggestions,photoshop manipulation techniques to this achieve this design. Knight Racer wrote: I don't know, part of having the manipulation resemble Kitt is removing the rear passenger Windows. Well, at the end of the day buddy, it's your vision for KITT, so if you're happy with where you've taken it, then it's all good. This one took me hours to do todfay to get everything just right.